Not all hardwood mulches are the same. 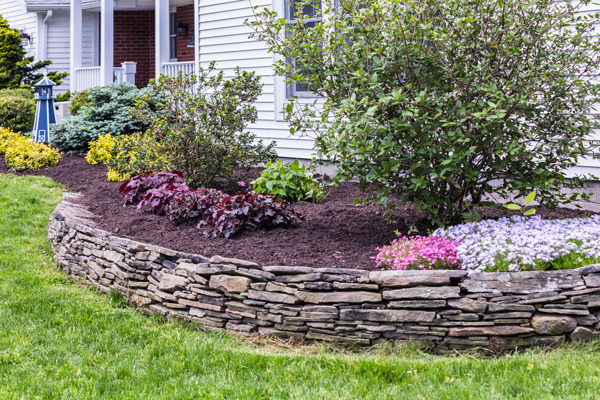 It’s important to select the proper mulch for the health and need of your landscape gardens. The common choices of mulch are: Pine Bark Mulch, Shredded Hardwood Bark Mulch, and the most common we apply Black, Brown and Red Hardwood Mulch. Click here to complete a consultation request and estimate form. Pine Bark Mulch: Not common to the northeast area. Very commonly found in the south and south west. It is a good mulch for general landscape plantings. Negatives: The pine needles blow away over time from the landscapes beds. The pine needles often attracts termites, and they do not break down into the soil to add nutrients well. 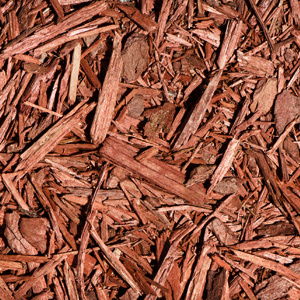 Shredded Hardwood Bark Mulch: This mulch is made from 100% tree bark. It contains a high level of nutrients as it decomposes which improves the soil in your gardens. This mulch is often times labeled as double and triple grounded shredded mulch which simply means the tree bark was put through a shredder two or three times. This is the best mulch choice for your gardens soil and plant health. Often times this mulch is hard to locate authentic material and more costly to purchase. Other mulch is often mislabeled as shredded hardwood bark mulch. Red, Brown (dyed and natural) and Black Hardwood Mulch: This mulch is the most commonly sold and installed. The mulch includes ground up wood and wood pallets is dyed (often several times) to obtain the color of choice. This product does well to keep weeds down but adds little to no nutritional value to the soil. These mulches often pull nitrogen from the soil as the wood decomposes. We rarely sell red, often install dyed triple black but the current trend is natural brown. The brown natural product does not contain any dye. Compost: Compost is a preferred product to add nutritional value to your gardens. Most of the compost is made from leaves, old vegetable garden material, and mushroom compost. Sometimes the local town offers free compost from the material they have picked up and ground up during the season. This finely composed material does not make for a good mulch product as it includes a lot of weed seeds as well. 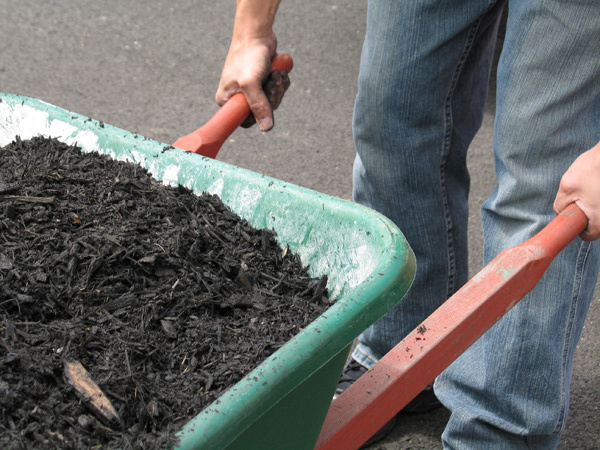 If requested, we can add a good compost to your landscape beds when preparing for mulch. Depending on the condition of your garden we may remove old mulch to expose the entire garden soil to the sun. This helps identify and allow better access to weeds. We hand dig and discard each weed (and debris) trying to gain access to their roots. Non germinated weed seeds will still remain along with weeds which have extensive root structures. A liquid herbicide is applied to help kill off weeds and weed seeds which cannot be easily hand dug. Weeds like Thistle have seeds which can last over 50 years in the garden. We let the garden sit exposed to the sun for about a week to allow additional weeds to surface. These weeds are then hand dug, removed and additional herbicide is applied. A garden edge is dug to allow air separation between the grass and the landscape bed which prevents grass and weed growing into the garden bed. This air separation must be maintained after the hardwood mulch installation. The selected hardwood mulch is applied at a depth of 2”-2.5”. The mulch is tapered down to each plant base to avoid choking the plant of mulch. You do not want any mulch covering any of the tree or plant bark. The correct tapered edge is applied to insure all separation between the garden and the landscape bed. A weed control herbicide product should be applied several times during the season to the gardens to help kill weed seeds. Weekly maintenance of hand digging weeds along with their roots is needed to keep the gardens looking maintained and neat.